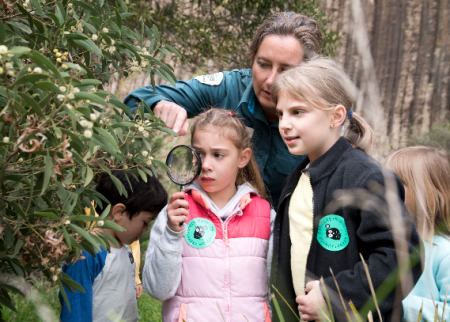 Pollination at the Calyx is a fantastic experience for the whole tribe. 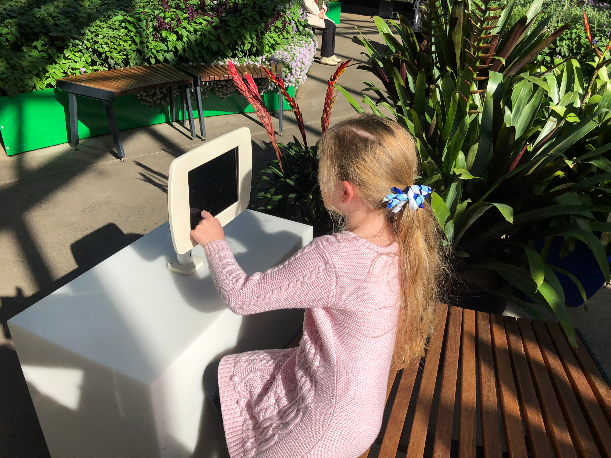 Inside The Royal Botanic Garden Sydney, this free floral installation explores all the different processes of pollination. What is Pollination at the Calyx? 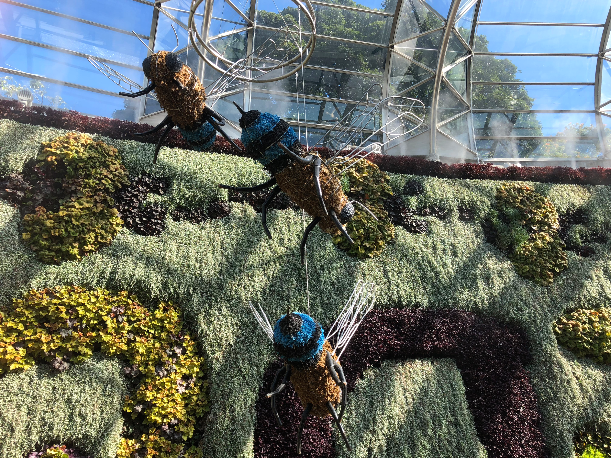 Pollination is a flower and plant installation curated by the horticultural team at The Royal Botanic Garden Sydney. In the plant world, colour is the essential ingredient for pollination to occur. 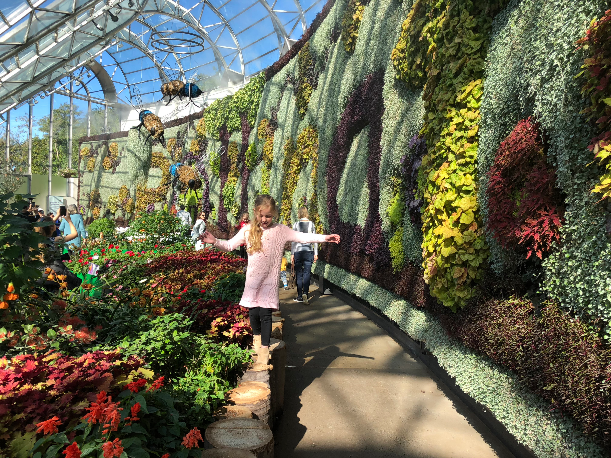 Once you step foot inside The Calyx, you’ll be in awe of the gorgeous floral display and bite sized information about the different ways in which pollination occurs. 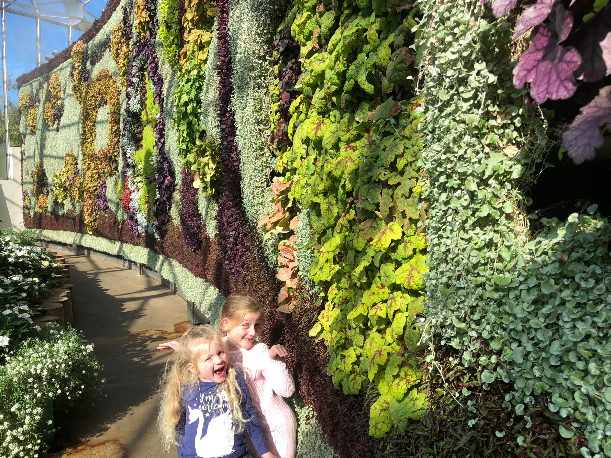 The whole tribe will love the plant wall with the word ‘Pollination’ spelled out along the entire length of it. What else is inside the Calyx? There is a small restaurant inside the Calyx that has weekly high teas on Friday, Saturday and Sunday from 1:30-3:30pm. If you want to make the most of your visit to the garden, be sure to book a high tea starting at $65 a head. You can also grab a bite to eat from the cafe and enjoy the scenic outdoors area. 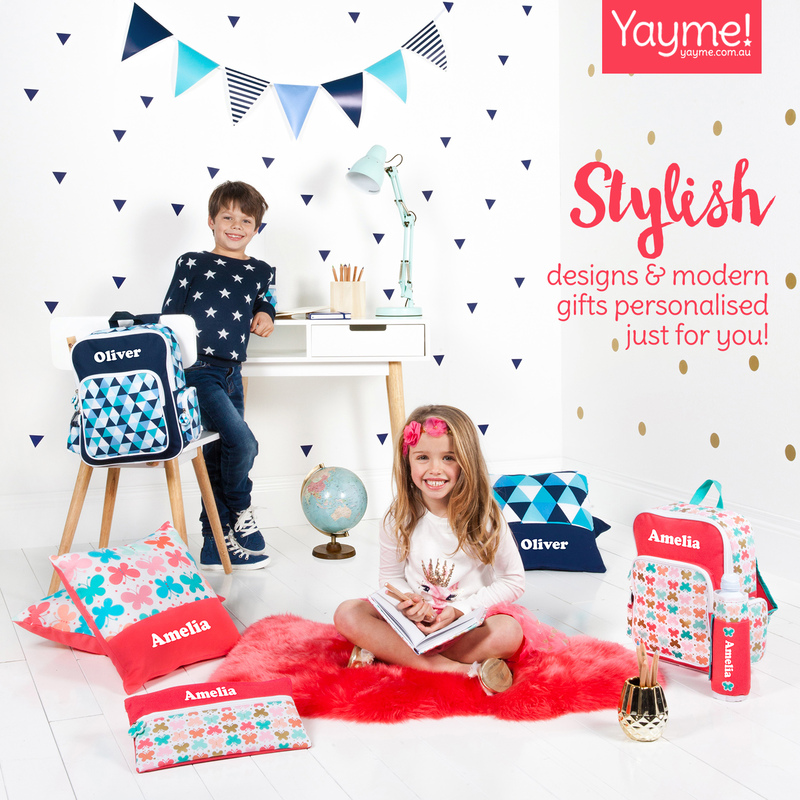 In the cafe area, the kids can also enjoy some hands on activities with the Calyx Kids area. 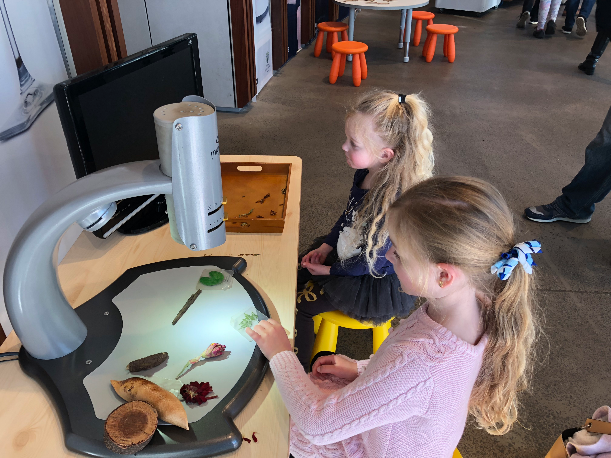 The tribe enjoyed looking at plant life under a microscope and doing puzzles and other activities. 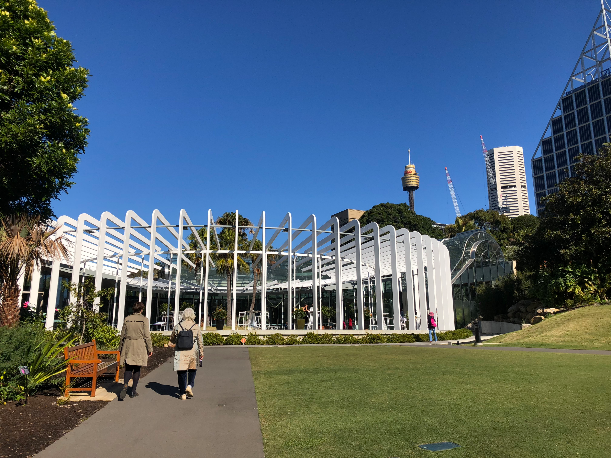 What about the Royal Botanic Garden? We loved wandering through the gardens and right down to the waters edge at Mrs Macquarie’s Chair. The view of the Harbour Bridge and Opera House is an unbeatable one and there were plenty of people laying down on the grass enjoying the sunshine. There is also a train ride that takes you on a guided tour of the gardens if you want to see more while enjoying a leisurely ride.